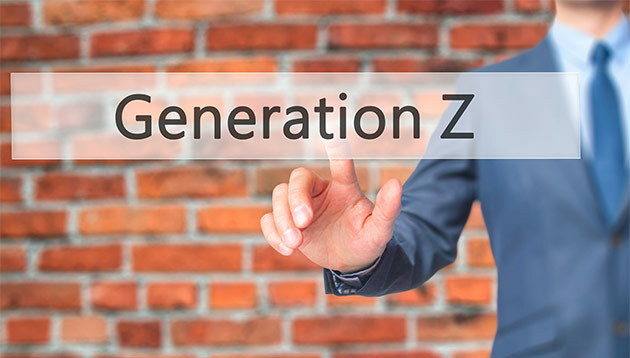 With Gen Z (born after 1994) poised to be one of the largest workplace demographics (20%) by 2020, it is imperative organisations understand how to attract and retain this generation. 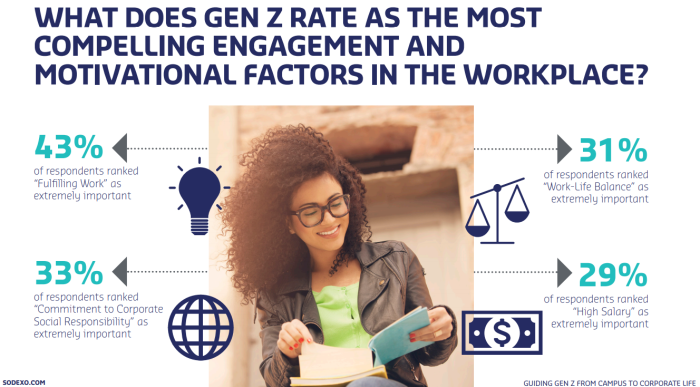 According to Sodexo’s new whitepaper Guiding Gen Z from Campus to Corporate Life: What College and University Administrators and Talent Recruiters Need to Know, when asked to estimate the number of different organisations they see themselves working for throughout their career, 46% of Gen Z surveyed anticipated employment with only one to three companies, and another two in five (41%) expected to work for one to seven organisations. Assuming that the typical career of a Gen Z employee spans 45 years (age 20 to 65), the majority (46%) of them will be with the same organisation for at least 15 years. 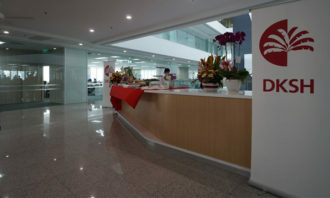 43%, respondents identified having a fulfilling role as their number one priority, followed by 33% expressing a desire to work for organisations with a strong commitment to corporate social responsibility (CSR). A clear majority (85%) saw aligning their passions/interest with their future profession as important or very important. 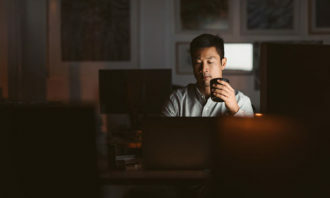 Work-life balance and a high salary ranked high (31% and 29%, respectively) as important factors that contribute to a better quality of life at work. 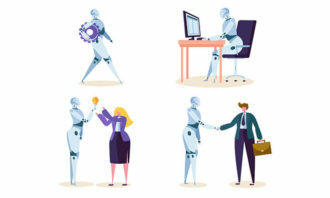 But when asked to choose between a high paying formal 9-5 job or a role with less pay, greater flexibility and work-life balance, 65% chose the latter. 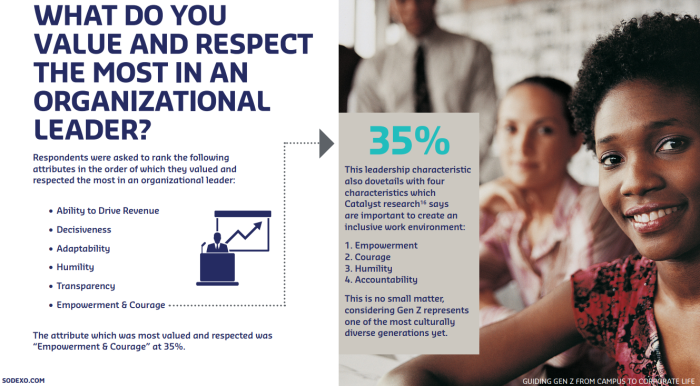 When it comes to their expectations on organisational leadership, 35% selected ’empowerment and courage’ as their most valued attribute for leaders to have. Interestingly, in contrast to the Millennials who expected constant feedback, only 14% felt constant feedback was extremely important, while 15% rated it as not important at all.